Florida A&M University’s team won “Moguls in the Making,” a ‘Shark Tank’-like competition where contestants compete for an opportunity to receive funding for a business venture. The competition was sponsored by entertainer and rapper Big Sean, Ally Financial and the Thurgood Marshall College Fund to prepare the next generation of entrepreneurs. 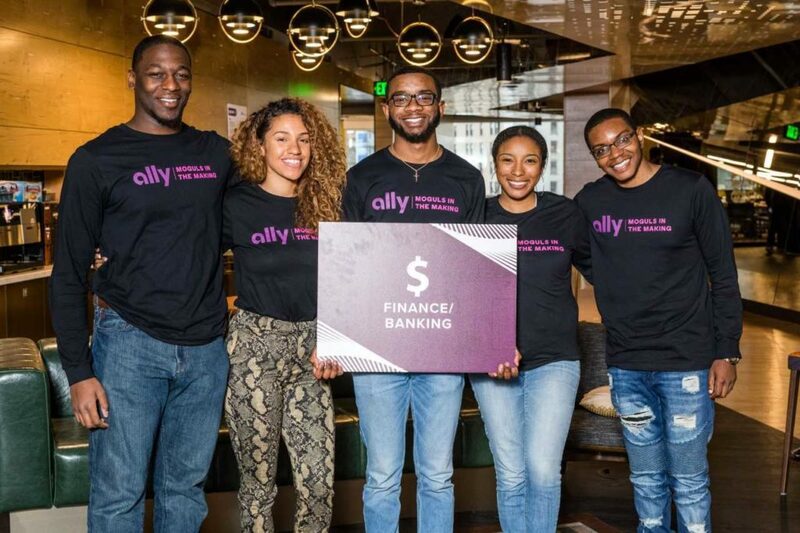 The victorious students each were awarded a $5,000 scholarship, MacBook Air computers and internships with Ally Financial, a bank holding company. FAMU’s winning team of Emmanuel Blake Dawson, a third-year Supply Chain Management student from Louisville, Ky., Nalani Kelley Marsh, a fourth-year senior Business Administration student from Malibu, Calif., Earl Perry, a third-year Economics student from Miami, Livi Grant, a third-year Business Administration student from Atlanta, and Keishon Smith, a third-year Electrical Engineering student from Daytona Beach, Fla., rose above teams from nine other historically Black colleges and universities (HBCUs). Perry said the weekend felt like a never-ending roller coaster with new problems to solve, but three weeks of work prepared the team for the challenges. Team members said “Moguls in the Making” was a valuable teaching tool that allowed them to step out of their comfort zone, showcase skills and network with other innovative HBCU students. Big Sean’s nonprofit, the Sean Anderson Foundation, gave students from such HBCUs as Alabama Agricultural & Mechanical, Howard University, Elizabeth City State University, Jackson State University, Morgan State University, North Carolina Agricultural & Technical State University, Norfolk State University, Virginia State University, and Tennessee State University the opportunity to formulate, develop and present business plans in front of their peers and a panel of judges. In between preparing for their presentations, students participated in sessions on financial literacy, idea pitching, and building a business model. The three organizations decided to host “Moguls in the Making” in Detroit not only because Big Sean and Ally are based there, but also because the Motor City is known for its cultural innovation and grit. According to Brimmer, “Moguls in the Making” received more than 500 applicants, but the competition was narrowed down to 50 students from 10 HBCUs. Five students from each school were then assigned to teams. “It brings me great joy and honor to know that I was able to lead a team from FAMU in the inaugural “Mogul in the Making” competition,” said Dawson, who expressed appreciation to the organizers of the event. In addition to Big Sean, the panel of judges included Anand Talwar, an Ally deposit and consumer strategy executive, Tommey Walker, principal of Detroit vs. Everybody; and George Spencer, executive vice president of business development, innovation and entrepreneurship for the Thurgood Marshall College Fund.